All used gym equipment is not all the same – Not even Close. If you are into fitness, the chances are you have had a membership to a gym or two (or twenty) in your lifetime. Any commercial gym that charges $20 a month or greater invests heavily into the top of the line exercise equipment from providers like Precor, Life Fitness, Star Trac, Body Masters, and Stairmaster. This commercial equipment can take a beating being used anywhere from 10-20 hours per day and needs to hold body frames from 100 – 500 lbs in weight. The quality and durability is outstanding but unfortunately so is the price. 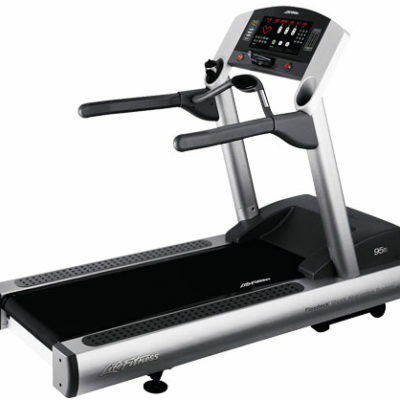 These manufacturers also do provide residential exercise equipment to fit the budget that you would have for your home. However, the overall quality and feel of home gym equipment (AKA residential) just does not stack up to the commercial level you are used to from working out at your local gym. Our used gym equipment has been serviced and certified remanufactured and that is key to hitting both the right price point and maintaining that supreme quality you are used to getting during your workouts at the gym. If you are looking to buy fitness equipment for your home, it is important to do your research and use a company that is respected for both quality and service. Finding good high-quality used gym equipment for sale is truly a diamond in the rough! Over the last 10 years, Gym Pros has developed relationships with gyms like Equinox, 24 Fitness, Planet Fitness as well as other boutique gyms that are local to our Southern California headquarters. We have made it our goal to deliver high quality top of the line equipment by not only getting great deals on previously used and leased equipment but by servicing the equipment by our team who performs a 47 point inspection on each piece of equipment pinpointing each item necessary to ensure your high end used gym equipment will stand the test of time. These units are available as single units or available at wholesale rates for larger centers and facilities. We have great deals on whatever volume makes sense for your home gym or commercial fitness center. Contact us for the complete gym package. It simply comes down to simple math. If you are looking for the high-quality cardio or strength pieces that has the durability and feel you are used to you will be needing to go the commercial route. From there, take a look at the 5 big brands websites and take a look at those manufacturers suggested retail prices (MSRPs). 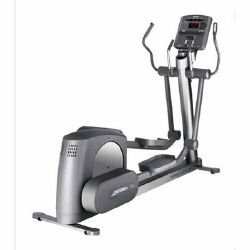 These may throw anyone off as most brand new treadmills and ellipticals are in the 7K+ range (most being closer to 8-10K). Much like buying a car, you don’t need the new 2018 model in 2017. Though that’s nice, you are paying such a premium that it is a joke unless you are catering to the ultra-wealthy. Even with the most affluent clientele, I haven’t had them ask me “why don’t you have a Life Fitness Elevation Series as opposed to this 95Ti.” This type of equipment just makes sense and when you can get the best remanufacturing service in the US to rebuild these units, they are practically new. Although the majority of our customers are other boutique gyms, hotels, and training centers, we can also service your home for those that need to have the commercial quality and feel in their home. We are located in Southern California but have shipped to all 50 states and 17 different countries. 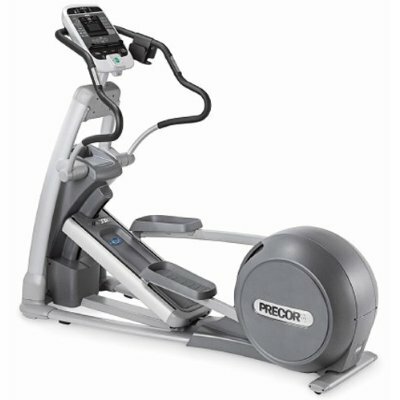 Gym Pros is renown as having best in class equipment quality, shipping, and service to the customer. Our 5-star reputation is there for a reason and our equipment and brand stands the test of time. We have delivered from 200+ piece commercial gyms in South Florida down to your single recumbent bike to round out a home fitness studio in Maui. Our customers continue to use us for the great communication and quality that we deliver with each order. 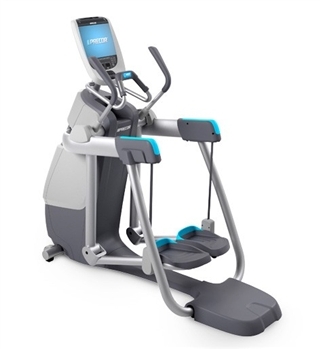 The Precor Elliptical was truly one of the most revolutionary pieces of fitness equipment in the history of fitness equipment. This product helped thousands of runners who were told they could never run again be able to get off their recumbent bike and get that feel and workout from running again with absolutely zero impact on their knees. 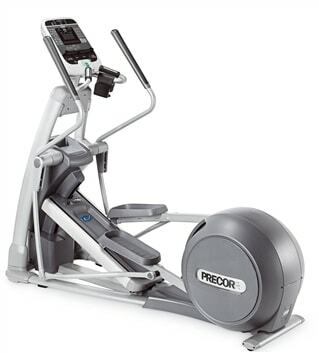 Precor Ellipticals have since evolved and so has the brand in general. The revolving staircase from Stairmaster could truly be the single piece of fitness equipment that has torched the most calories (somewhere close to the number of searches on Google each year). When it comes to working out, this is one of the best ways you can spend 30 minutes hands down. 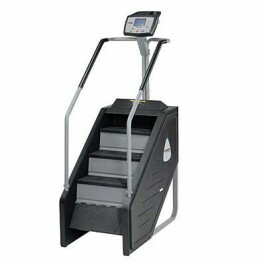 There is little active rest you can do on this machine outside of pressing the pause button and your body must move upwards to a stair case that just does not stop. The Stairmaster PT requires a sophisticated motorized system and monitor so you have probably seen these items in need of service in your gym once or twice. During our certified remanufacturing process, we build an entirely brand new motor and service the equipment with a fresh power coat, grip, and circuits for a fresh console and brand new feel. 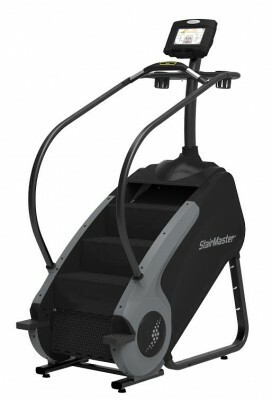 The 2 main Stairmasters available are the gauntlet/revolving staircase style and a belt driven model that delivers a strong focus on toning the lower body while delivering a powerful cardiovascular workout. 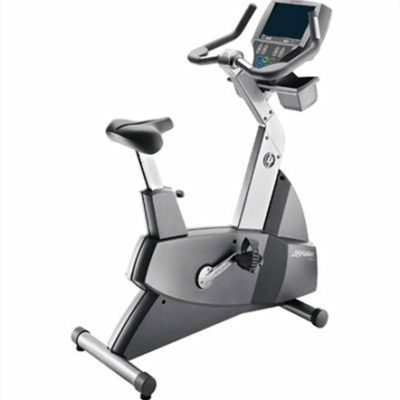 Spin bikes (or indoor cycling) is also popular and we are able to offer bulk discounts to outfit your entire studio. Gym pros has the capabilities of handling all of your cardiovascular and strength training needs. Those beach bodies you see on the television don’t just come from counting calories and burning them in rapid succession. From Multi stations, squat racks and a Cable Crossover to a 20 Piece Hammer Strength set.. An 8 piece jungle gym or an aray of functional trainers to a seated leg curl our team can outfit your facility and generally offer both used gym equipment and brand new. We have special relationships directly with all major manufacturers and strength brands. Gym Pros can also provide commercial flooring and accessories for any application. Contact the Fitness Experts at Gym Pros today to get our current inventory and pricing on our new or pre-owned equipment. We have a low price guarantee, ship world wide and offer great deals on complete gym packages. Talk to a sales representative about a shipping quote or local pickup. From selectorized strength pieces to cycling bikes to cross trainers to Our remanufacturing process is second to none and we can offer anything from new to pre-owned, remanufactured, refurbished or serviced. It may seem overwhelming BUT we can walk you through all the differences and help fit into your specific budget with shipping, service level and warranty!